Happy 4th of July! What a beautiful day to be thankful for this awesome country we live in! Today we are celebrating Independence Day as well as the chance to meet a new friend. 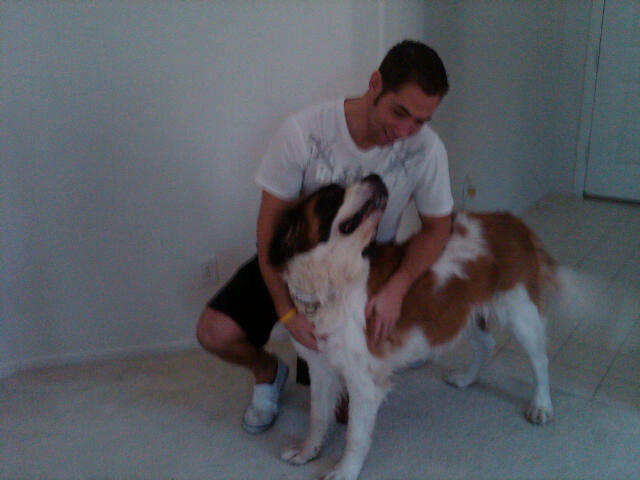 This morning we had Sebastian, a St. Bernard from the local rescue over to play. Despite all of his drool, we had so much fun with him! We are keeping him for a few days to see if he will be a good fit for us. We will keep you posted on what we decide, but I think we are both already falling in love!